Exploding supernovae are a phenomenon that is still not fully understood. The trouble is that the state of nuclear matter in stars cannot be reproduced on Earth. In a recent paper published in EPJ E, Yves Pomeau from the University of Arizona, USA, and his French colleagues from the CNRS provide a new model of supernovae represented as dynamical systems subject to a loss of stability, just before they explode. Because similar stability losses also occur in dynamical systems in nature, this model could be used to predict natural catastrophes before they happen. Previous studies of the creeping of soft solids, earthquakes, and sleep-wake transitions have already confirmed the validity of this approach. Dispersed multi-wall carbon nanotubes on a glass surface. © Yakemseva et al. Dispersions of carbon nanotubes with liquid crystals have attracted much interest because they pave the way for creating new materials with added functionalities. Now, a study published in EPJ E by Marina Yakemseva and colleagues at the Nanomaterials Research Institute in Ivanovo, Russia, focuses on the influence of temperature and nanotube concentration on the physical properties of such combined materials. These findings could have implications for optimising these combinations for non-display applications, such as sensors or externally stimulated switches, and novel materials that are responsive to electric, magnetic, mechanical or even optical fields. Foams and foaming processes pose interesting questions for both fundamental research and practical applications. Although foams are a familiar thing, both in our everyday lives and in industry, many aspects of foam physics and chemistry still remain unclear. This EPJ E paper comprehensively reviews the studies of foams under microgravity, including studies conducted in parabolic flights, in sounding rockets and in the International Space Station. View of the cavitation process, with blue contours representing the borders of the cavities. © Tanguy et al. Tape, self-adhesive labels, Post-it notes and masking tape all contain soft adhesives. This makes them easy to remove—a process referred to as debonding. French scientists have studied how soft adhesives work in the hope of facilitating the design of more efficient adhesives. 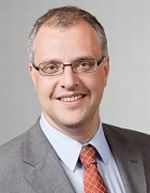 Francois Tanguy, a researcher at ESPCI ParisTech, the School of Industrial Physics and Chemistry, in Paris, France, and colleagues have, for the first time, performed a precise analysis of the material deformation and structure during the course of debonding for several model adhesives. Their findings are published in EPJ E. By better understanding the connection between the energy dissipated by the polymeric material with adhesive qualities and its response to traction, they hope to improve models of adhesive performance. 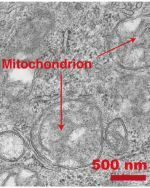 Image of mitochondria observed by transmission electron microscopy. © K. Hayashi et al. Motion fascinates physicists. It becomes even more intriguing when observed in vivo in biological cells. Using an ingenious setup, Japanese scientists have now calculated the force of molecular motors acting on inner components of biological cells, known as organelles. In this study, the focus is on mitochondria—akin to micrometric range cellular power plants—travelling along microtubules in a cell. Published in EPJ E by Kumiko Hayashi, from Tohoku University, Sendai, Japan, these findings could contribute to elucidating the transport mechanism in biological cells by multiple motors. A new Colloquium in EPJE by Xiao-Jing Zheng introduces and reviews the fundamental laws of the electrification of wind-blown sand and their influence, and highlights the challenges in this field. The electrification of wind-blown sand is a typical complex system characterised by nonlinearity, randomness, multi-field coupling between thermal diffusion, E-fields and sand movements, as well as trans-scale processes with multi-phase media. Owing to the complex mechanism and the influence of the electrification of wind-blown sand , a number of issues remain poorly understood. These include: (1) why sand particles get charged during wind-blown sand movements; (2) how many electric charges a sand particle acquires; (3) why the electric polarity of sand particles is related to the particles’ size; (4) what the change law of wind-blown sand E-fields is, and (5) how to predict the intensity and influence of wind-blown sand E-fields. Image of the surface of the foam chamber under experimental study. © N.Isert et al. Foams fascinate, partly due to their short lifespan. Foams change as fluid drains out of their structure over time. It is precisely their ephemeral nature which has, until now, prevented scientists from experimentally probing their characteristic dynamics further. Instead, foams have often been studied theoretically. Now, Nathan Isert from the University of Konstanz, Germany and colleagues, have devised a method of keeping foams in shape using a magnet, which allows their dynamics to be investigated experimentally, as recently described in EPJ E.
Typical image of a bubble raft analysed for bubble-size determination. © J.Pierre et al. Liquid foams fascinate toddlers singing in a bubble bath. Physicists, too, have an interest in their acoustical properties. Borrowing from both porous material and foam science, Juliette Pierre from the Paris Diderot University, Paris, France and her colleagues studied liquid foams. They used an impedance tube to measure the velocity and attenuation of acoustic waves in liquid foams in a broad frequency range. The study published in EPJ E is a first in the literature. It could help in assessing any liquid foam’s bubble size or in designing the optimal foam structure for sound proofing. How fluid dynamics and transport shaped the structure of our lungs in the course of evolution. Two French physicists, Bernard Sapoval and Marcel Filoche from École Polytechnique in Palaiseau, France, suggest in a study published in EPJ E how evolution has shaped our lungs through successive optimisations of physical parameters such as conservation of energy and speed of delivery.